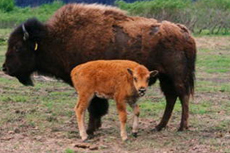 The Alaska Wildlife Conservation Center houses a wide variety of species in large natural habitats ranging from bears to lynx to muskox. An ACT bus picked us up in Whittier and we stopped at the Alaska Wildlife Conservation Center. An ACT bus picked us up in Whittier and we stopped at the Alaska Wildlife Conservation Center. We saw lots of animals and it broke up the trip. Guide never met the bus. Guide never met the bus. We had an hour to walk around, but no map or info on the animals. Not enough time to see outdoor areas and zero time for shop. The conservation center is a wonderful not for profit area that houses native Alaskan animals and has taken strides to bring back animals from extinction as well as rescue those that were abused or injured. Easy bus ride to and from Portage Glacier and the Alaska Wildlife Center. Easy bus ride to and from Portage Glacier and the Alaska Wildlife Center. Would do them again. Pre-cruise, we had visited and loved the Anchorage Museum where we spent over 5 hours. Worth seeing. Great way to see the animals. Did the Wildlife Center then Portage Glacier. Did the Wildlife Center then Portage Glacier. Awesome to see the glacier so close!